The New York Times reported recently that some lawmakers in New York, including Governor Andrew Cuomo, are advocating a change to existing traffic law. Currently, distracted driving (texting while driving) is a secondary offense, meaning drivers can only be ticketed for texting if an officer or trooper pulls them over for a primary offense like speeding or failure to signal, etc. The new law would make distracted driving a primary offense and increase the penalty from 2 points to 3 points as well as increase the penalty for using a cellphone without a hands-free device while driving to 3 points. 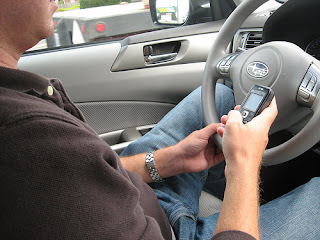 In 2010, police issued 3,235 in New York state for texting while driving, 1,632 of which were issued in New York City. If you get a ticket for a cell phone, distracted driving, or other ticket in New York state, give us a call. (518) 465-2211.